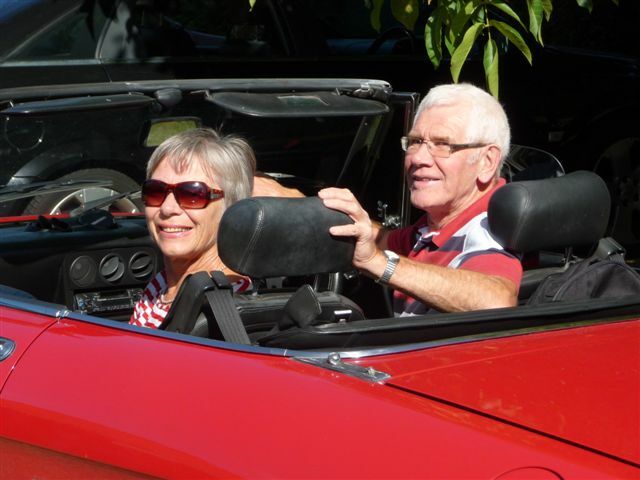 We had such a wonderful day driving the Healey that we decided to get something of our own and found the very car pictured quite close to our home town. 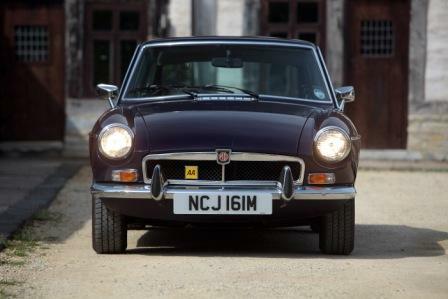 Many thanks for a most enjoyable day and for your views on a practical classic car selection. We had a brilliant weekend and look forward to doing it again. I thoroughly enjoyed driving the Healey and what a beast, I am definitely in the market for one, probably a MK3 BJ8. 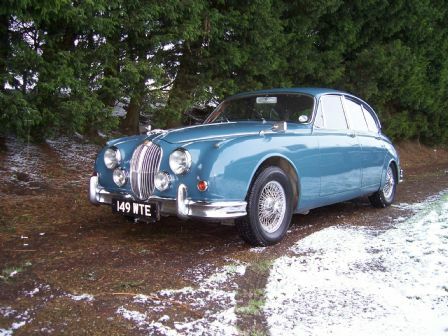 Thanks again for a very friendly and professional service and I would take pleasure in recommending GT Classic Hire to others. 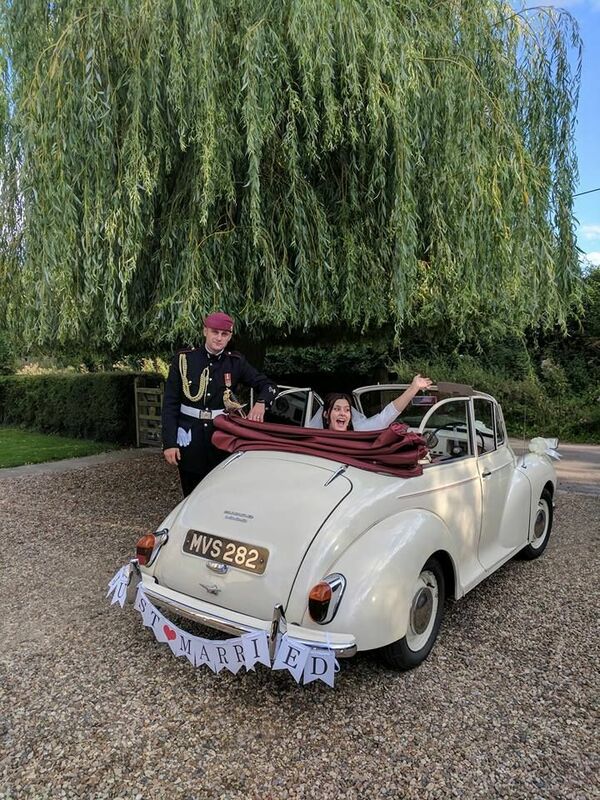 I just want to say a Big Thank you for the MKll Jag on the 6th of September, it really contributed to the whole theme of the day & helped towards making it the most fabulous day. I just wanted to say thank you for providing a really great day on Friday. both Nick and I spent all weekend saying what massive fun we had had. It really was brilliant, thank you. 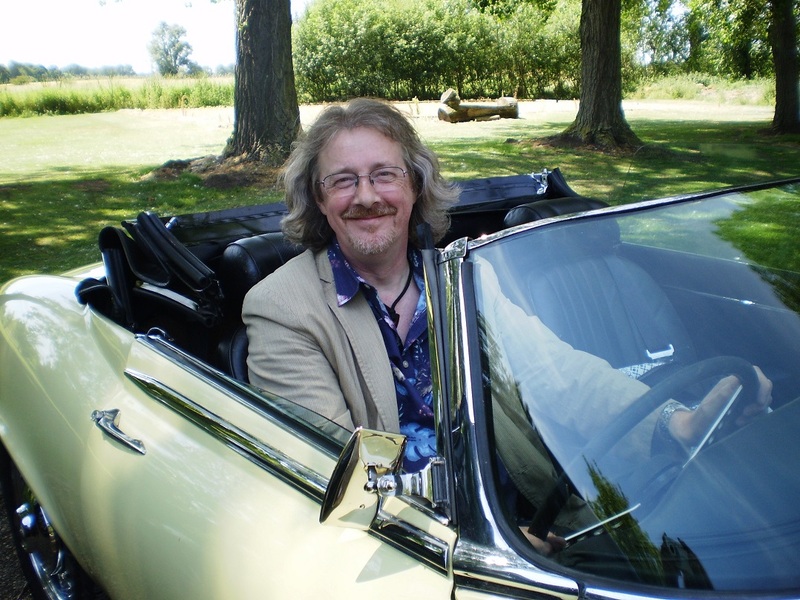 I can’t believe it’s been a week since we were having our hair tugged out by its roots as we whipped along the highways and byways of Suffolk in your magnificent E-Type! What a fantastic experience: thank you very much indeed! Thank you so much for a brilliant day! 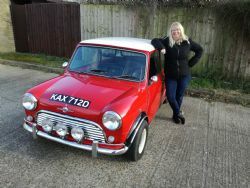 Mum loved the mini! She had a fabulous day celebrating her 60th birthday. I loved Harry, if he becomes available for hire please let me know! Many thanks for two really great days, found MG hard going but great fun, the E type was a joy, would love to repeat the days in the future, if time allows, would not hesitate to recommend your services to anybody, the kids loved the photo, thanks again. Just a line to say thanks for making Malcolms day very special. 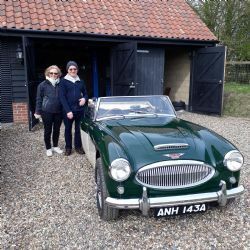 We both thoroughly enjoyed our day with the amazing Healey. 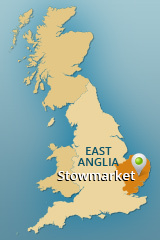 Would you be good enough to send the photo you took of us - so I have plenty to choose from! Hope to see you at racing soon. 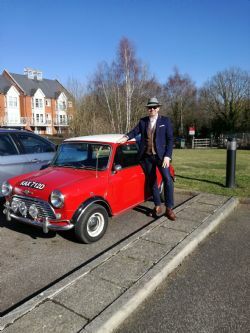 We hired the 1966 Mini Cooper for the weekend of my partner’s birthday celebration, Tony was a lovely chap to deal with from the first point of contact and the completion of the documentation was all completed well in advance of the hire. Clear instructions were given about how to collect and return the car and we were given a very warm welcome by Tony on our arrival. The car looked amazing and was a huge amount of fun to drive. 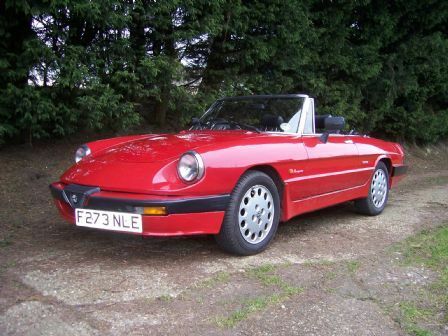 We attracted comments of admiration about the car wherever we went with it and it really made the weekend very special.